The entrepreneur who founded and grew the largest startup in the world to $10 billion in revenue and got fired is someone you have probably never heard of. The guy who replaced him invented the idea of the modern corporation. If you want to understand the future of Tesla and Elon Musk’s role – something many want to do, given the constant stream of headlines about the company — you should start with a bit of automotive history from the 20th Century. By the middle of the 20th century, Alfred P. Sloan had become the most famous businessman in the world. Known as the “Inventor of the Modern Corporation,” Sloan was president of General Motors from 1923 to 1956 when the U.S. automotive industry grew to become one of the drivers of the U.S. economy. Today, if you look around the United States it’s hard to avoid Sloan. There’s the Alfred P. Sloan Foundation, the Sloan School of Management at MIT, the Sloan program at Stanford, and the Sloan/Kettering Memorial Cancer Center in New York. Sloan’s book My Years with General Motors, written half a century ago, is still a readable business classic. When Sloan arrived at GM in 1920 he realized that the traditional centralized management structures organized by function (sales, manufacturing, distribution, and marketing) were a poor fit for managing GM’s diverse product lines. That year, as management tried to coordinate all the operating details across all the divisions, the company almost went bankrupt when poor planning led to excess inventory, with unsold cars piling up at dealers and the company running out of cash. 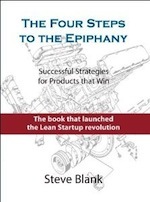 Borrowing from organizational experiments pioneered at DuPont (run by his board chair), Sloan organized the company by division rather than function and transferred responsibility down from corporate into each of the operating divisions (Chevrolet, Pontiac, Oldsmobile, Buick and Cadillac). Each of these GM divisions focused on its own day-to-day operations with each division general manager responsible for the division’s profit and loss. Sloan kept the corporate staff small and focused on policymaking, corporate finance, and planning. Sloan had each of the divisions start systematic strategic planning. Today, we take for granted divisionalization as a form of corporate organization, but in 1920, other than DuPont, almost every large corporation was organized by function. Sloan put in place GM’s management accounting system (also borrowed from DuPont) that for the first time allowed the company to: 1) produce an annual operating forecast that compared each division’s forecast (revenue, costs, capital requirements and return on investment) with the company’s financial goals. 2) Provide corporate management with near real-time divisional sales reports and budgets that indicated when they deviated from plan. 3) Allowed management to allocate resources and compensation among divisions based on a standard set of corporate-wide performance criteria. When Sloan took over as president of GM in 1923, Ford was the dominant player in the U.S. auto market. Ford’s Model T cost just $260 ($3,700 in today’s dollars) and Ford held 60% of the U.S. car market. General Motors had 20%. Sloan realized that GM couldn’t compete on price, so GM created multiple brands of cars, each with its own identity targeted at a specific economic bracket of American customers. The company set the prices for each of these brands from lowest to highest (Chevrolet, Pontiac, Oldsmobile, Buick, and Cadillac). Within each brand there were several models at different price points. By 1931, with the combination of superior financial management and an astute brand and product line strategy, GM had 43% market share to Ford’s 20% – a lead it never relinquished. Sloan transformed corporate management into a real profession, and its stellar example was the continuous and relentless execution of the GM business model (until its collapse 50 years later). What Does GM Have to Do with Tesla And Elon Musk? Well, thanks for the history lesson but why should I care? If you’re following Tesla, you might be interested to know that Sloan wasn’t the founder of GM. Sloan was president of a small company that made ball bearings that GM acquired in 1918. When Sloan became President of General Motors in 1923, it was already a $700 million company (about $10.2 billion in sales in today’s dollars). Yet, you never hear who built GM to that size. Who was the entrepreneur who founded what would become General Motors 16 years earlier, in 1904? Where are the charitable foundations, business schools, and hospitals named after the founder of GM? What happened to him? The founder of what became General Motors was William (Billy) Durant. At the turn of the 20th century, Durant was one of the largest makers of horse-drawn carriages, building 150,000 a year. But in 1904, after his first time seeing a car in Flint, Michigan, he was one of the first to see that the future was going to be in a radically new form of transportation powered by internal combustion engines. Durant took his money from his carriage company and bought a struggling automobile startup called Buick. Durant was a great promoter and visionary, and by 1909 he had turned Buick into the best-selling car in the U.S. Searching for a business model in a new industry, and with the prescient vision that a car company should offer multiple brands, that year he bought three other small car companies — Cadillac, Oldsmobile, and Pontiac — and merged them with Buick, renaming the combined company General Motors. He also believed that to succeed the company needed to be vertically integrated and bought up 29 parts manufacturers and suppliers. The next year, 1910, trouble hit. While Durant was a great entrepreneur, the integration of the companies and suppliers was difficult, a recession had just hit, and GM was overextended with $20 million in debt ($250 million in 2018 dollars) from all the acquisitions and was about to run out of cash. Durant’s bankers and board fired him from the company he had founded. For most people the story might have ended there. But not for Durant. The next year Durant co-founded another automobile startup, this one started with Louis Chevrolet. Over the next five years Durant built Chevrolet into a competitor to GM. And in one of the greatest corporate comeback stories, in 1916 Durant used Chevrolet to buy back control of GM with the backing of Pierre duPont. He once again took over General Motors, merged Chevrolet into GM, bought Fisher Body and Frigidaire, created GMAC GM’s financing arm and threw out the bankers who six years earlier had fired him. Durant had another great four years at the helm of GM. At the time he was not only running GM but was a major Wall Street speculator (even on GM stock) and was big in the New York social scene. But trouble was on the horizon. Durant was at his best when there was money to indulge his indiscriminate expansion. (He bought two car companies – Sheridan and the Scripps-Booth – that competed with his existing products.) But by 1920, a post-World War I recession had hit, and car sales has slowed. Durant kept building for a future assuming the flow of cash and customers would continue. Meanwhile, inventory was piling up, the stock was cratering, and the company was running out of cash. In the spring of 1920 with company had to go to the banks and he got an $80 million loan (about a billion dollars in 2018) to finance operations. While everyone around him acknowledged he was a visionary and a world-class fund raiser, Durant’s one-man show was damaging the company. He couldn’t prioritize, couldn’t find time to meet with his direct reports, fired them when they complained about the chaos, and the company had no financial controls other than Durant’s ability to manage to raise more money. When the stock collapsed Durant’s personal shares were underwater and were exposed to being called by bankers who would then own a good part of GM. The board decided that the company had enough vision — they bought out Durant’s shares and realized it was now time for someone who could execute at scale. Alfred Sloan became the President of GM and ran it for the next three decades. 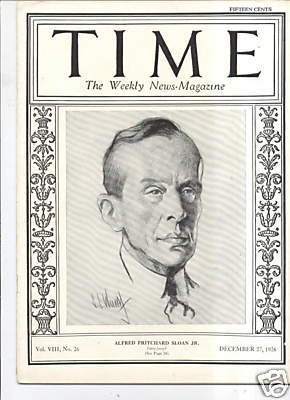 William Durant tried to build his third car company, Durant Motors, but he was still speculating on stocks, and got wiped out in the Depression in 1929. The company closed in 1931. Durant died managing a bowling alley in Flint, Michigan, in 1947. From the day Durant was fired in 1920, and for the next half a century, American commerce would be led by an army of “Sloan-style managers” who managed and executed existing business models. But the spirit of Billy Durant would rise again in what would become Silicon Valley. And 100 years later Elon Musk would see that the future of transportation was no longer in internal combustion engines and build the next great automobile company. In all of his companies, Elon Musk has used his compelling vision of a future transformed to capture the imagination of customers and, equally important, of Wall Street, raising the billions of dollars to make his vision a reality. Yet, as Durant’s story typifies, one of the challenges for visionary founders is that they often have a hard time staying focused on the present when the company needs to transition into relentless execution and scale. Just as Durant had multiple interests, Musk is not only Tesla’s CEO and Product Architect, overseeing all product development, engineering, and design. At SpaceX (his rocket company) he’s CEO and lead designer overseeing the development and manufacturing of advanced rockets and spacecraft. He’s also the founder at The Boring Company (the tunneling company) and co-founder and chairman of OpenAI. And a founder of Neuralink a brain-computer interface startup. All of these companies are doing groundbreaking innovations but even Musk only has 24 hours in a day and 7 days in a week. Others have noted that diving in and out of your current passion makes you a dilettante, not a CEO. One of the common traits of a visionary founder is that once you have proven the naysayers wrong, you convince yourself that all your pronouncements have the same prescience. For example, after the success of the Model S sedan, Tesla’s next car was an SUV, the Model X. By most accounts, Musk’s insistence on adding bells and whistles (like the Falcon Wing doors and other accoutrements) to what should have been simple execution of the next product made manufacturing the car in volume a nightmare. Executives who disagreed (and had a hand in making the Model S a success) ended up leaving the company. The company later admitted that the lesson learned was hubris. Sleeping on the factory floor to solve self-inflicted problems is not a formula for success at scale, and while it’s great PR, it’s not management. It is in fact a symptom of a visionary founder imposing chaos just at the time where execution is required. Tesla now has a pipeline of newly announced products, a new Roadster (a sports car), a Semi Truck, and a hinted crossover called the Model Y. All of them will require massive execution at scale, not just vision. Elon Musk has done what Steve Jobs and Jeff Bezos did – disrupt a series of stagnant businesses controlled by rent seekers, permanently changing the trajectory of multiple industries – while capturing the imagination of consumers and the financial community. Just a handful of people with these skills emerge every century. However, fewer combine the talent for creating an industry with the very different skills needed for scale. Each of Tesla’s stumbles has begun to squander the very advantage that Musks vision gave the company. And what was once an insurmountable lead by having an economic castle surrounded by a defensible moat (battery technology, superchargers, autonomous driving, over the air updates, etc.) is closing rapidly. One wonders if $2.6 billion in executive compensation would be better spent finding someone to lead Tesla to becoming a reliable producer of cars in high volume – without the drama in each new model. Perhaps Tesla now needs its Alfred P. Sloan. Great article. Thanks for sharing Steve! Thanks for an excellent — and highly relevant — history lesson, Steve. 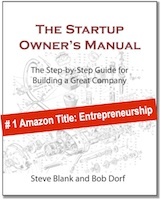 Your cautionary tale of Billy Durant reinforces my belief that some of the most profitable entrepreneurial ventures today have been started and grown by an effective working partnership between a visionary customer-oriented Founder — who, more than likely, is a highly-motivated extrovert with proven sales abilities — and a highly SKILLED, professionally-trained and experienced Founding CEO or COO who, ideally, has already established a solid record of managing the rapid scaling of successful startup ventures in the past (preferably, an individual who has also led at least one successful exit of a startup, whether an M&A or IPO). For example, the excellent day-to-day working relationship that exists between Founder Mark Zuckerberg and COO Sheryl Sandberg comes to mind. One of your best pieces Steve! Many points to think about, including the additional roles of timing (in the world, industry, and economy), as well as the good fortune (or bad) of having (or not having) the right people on the team to give balance. This article is close to proposing an inevitable dichotomy, but it’s a false dichotomy. The dichotomy appears to be (A) new and often foolish versus (B) prudent but stuck in the past and ignoring the future. Actually Sloan did some “new” things: He reorganized GM along division lines. Then in his 33 years or so, there really were lots of innovations: (1) helical gears that were stronger and quieter, (2) hydraulic valve lifters that were quieter and self adjusting, (3) automatic transmissions with torque converters and planetary gear sets, (4) piston and liquid based shock absorbers, (5) air conditioning, (6) power assisted steering and brakes, (7) unitized body construction with electric welding spot welds, (7) safety glass, (8) door locks that held even in bad crashes, (9) much better paints, e.g., from DuPont …. Musk’s “innovations”? He’s going for an electric car. We’ve known well way back to the early days of electric motors that a series wound motor has essentially infinite torque at stall, that is, as it is not rotating, that is, torque to get it to rotate against a load. So, for rapid acceleration from a stop, a series wound electric motor is terrific. Further, we had electric cars way back there, e.g., with lead-acid batteries. And we have and have long had other electric vehicles — golf carts, fork lifts. But the problem of an electric car versus one with a gasoline engine is that a gas tank fills quickly and an electric car battery takes a LOT of time or a LOT of electrical power or both to charge. The problem with electric cars is battery charging time. Golf carts and fork lifts can charge at night; too often, cars have to be ready to go 24 x 7. So, the problem with electric cars remains what it was 100+ years ago: We need much better batteries. And, of course, with such batteries, no way will we be able to avoid a big change in the electric grid — add up the electric power connection it takes to put into an electric car the energy of a 20 gallon tank of gasoline in the time it takes now to pump the 20 gallons. Sit down for that arithmetic because you will fall down otherwise. If Musk were even a C- undergraduate profesional engineer, then long ago, really from the beginning, he would have seen how hopeless electric cars are and never wasted the time, money, and effort. Instead, Musk is an opportunistic promoter and exploiter: How? Sure, mostly Saint Laureate Al Guru and his uninformed, misinformed, guilt ridden, fear based, crackpot, irresponsible, brain-dead, incompetent attempts at science, quasi-religious, flim-flam, fraud scam about human sources of greenhouse gases, especially CO2, causing significant “global warming”, oops, edit that, “climate change”. Since can always claim the climate is changing, even when really it’s not, that fraud is tough to debunk. So, with this screaming about CO2, Musk got a lot of subsidies. Then the greenie, politically correct, coastal liberal, NYC, SF, fit in socially crowd, with money to waste, became good, early Musk customers. For the rockets? By now lots of people know how to build rockets. Let me see: In the US, NASA, JPL, DoD, and their vendors. Then Russia and China. Now Iran and Dumb Ding Dung Dong Little Rocket Boy in Ping Pong Yang and his short, thin, scared engineers. Last I heard, Bezos was also at it. For Musk’s public transportation tubes, that project won’t work: (A) Public transportation is successfully used only in a few places where there is little or no alternative, and there it usually loses money. (B) The Internet is rapidly letting people leave NYC, DC, SF, and Chicago and, thus, make public transportation less important. More generally, the dichotomy is not as above but just between smart and stupid. A smart person starting a business will work hands on when small and delegate when large, will keep lots of plans, budgets, performance data in simple ways when small and be careful and well organized about these when ‘scaling’ to become large. A stupid person might do the right thing some times but stupid things too many other times. Sloan did smart things. Durant did too many stupid things. IMHO, Musk is doing too many stupid things. It seems clear to me that you instead of using arguments, you use insults against the people that you do not agree with. In this comment you have used dozens of insults per weak argument. Do you feel better while doing so? From my point of view it paints the portrait of someone who is very insecure and not very smart, that needs to call people “stupid” because his own stupidity afloats. The state of California and the European Union did change automotive industry by introducing CO2 norms. And he also didn’t invented vertical landing rockets, that was another US company beginning of the 90ties. And the first self driving car was built in Germany also in the 90ties, driving from Hamburg to Munich. Built by Daimler sponsored by an EU research program. And the world leading tunnel companies are in Austria. Elon Musk’s Problem is that he is using a software dev mindset on hardware and organization, that doesn’t work. So at the end of the day the key issue will be if the car manufacturing sector remains stable enough that new Sloans are necessary or by the contrary innovation and changes in manufacturing processes are significantly important and relevant so Elon wins. The fact is that nobody knows what will happen. There is a lot of people and media invested in shorting the stock so it is not easy to find neutral data about the issue. There is media out there talking about how Musk is making the same mistakes that manufacturers did in the 1880, but the real question is: Are lessons from the 1880s relevant today? In particular the main issue is AI, it was called “Artificial intelligence”, like “computer vision” because people was very optimistic about the field when they were born. Then, as the limitations became evident, depression came, funding disappeared but those fields advanced slowly and steadily thanks to non related fields like gaming and GPUs. It is like the original planes, they were dismissed and despised for war, only used for reconnaissance, as their limitation were obvious, they could not carry weight or people at first. Are the lessons from aviation at the 1910s valid for the 1940s? Could AI automate today what humans do in a factory? If the answer is yes, Musk could win big. If not he will have to declare defeat and stand back. Since BIG 4 door body on frame rear-drive luxury cars are no longer made by Ford or GM due to CAFE standards everyone is now buying luxurious 4 door pickups, and SUVS like Tahoes, Expeditions, and Suburbans and using them as passenger vehicles despite the fact that few buyers actually need the hauling or towing capacity or the off-road capability of the 4×4 versions. The company that will ultimately succeed is whoever can build a large luxurious car or station wagon that gets 40-50 miles per gallon! 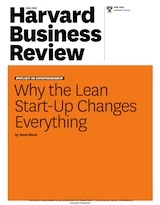 Nice follow up to the HBR ARTICLE. Thanks. Musk is a great promoter and fundraiser. He is also a gambler. When he relies on the right people and previous research and experience, he succeeds (SpaceX, basically lots of bought / transferred experience and technology under one roof). With Model 3, he has a huge flop on his hands precisely because instead of letting the right people do their job, he decided he could dictate how to build a megafactory. The electric car will become mainstream when we have widely accessible rapid charging technology and higher capacity batteries. This will be the result of an industry-wide effort with many players. Musk may – or may not – be part of it in the end. Most of the commenters here are hilarious. If Musk dropped dead tomorrow, his “failures” would still have achieved a thousand times more than any of the losers whining here. Tesla himself was a “failure”: we should be so lucky as to have a hundred more failures like him. 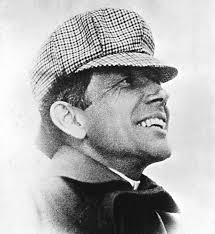 I have long admired Billy Durant even though he was not really a car guy but a business origination kind of guy. If he had not bought and bought all his suppliers Sloan would have had little to work with. If he had sold stock rather than borrowed to put together the Durant Motor Car company i think he would have survived the depression. When the banks called his loans he was done. Sloan, Kettering and others kept him from starving to death in an apartment in New York til his death. They recognized his contribution to their success.